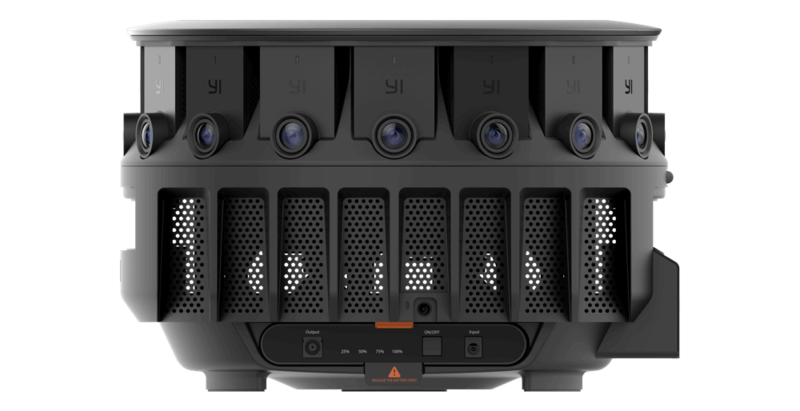 Finally, a professional VR camera that combines high fidelity capture with versatility of use and robustness. *Please register for the creators’ early purchase program. 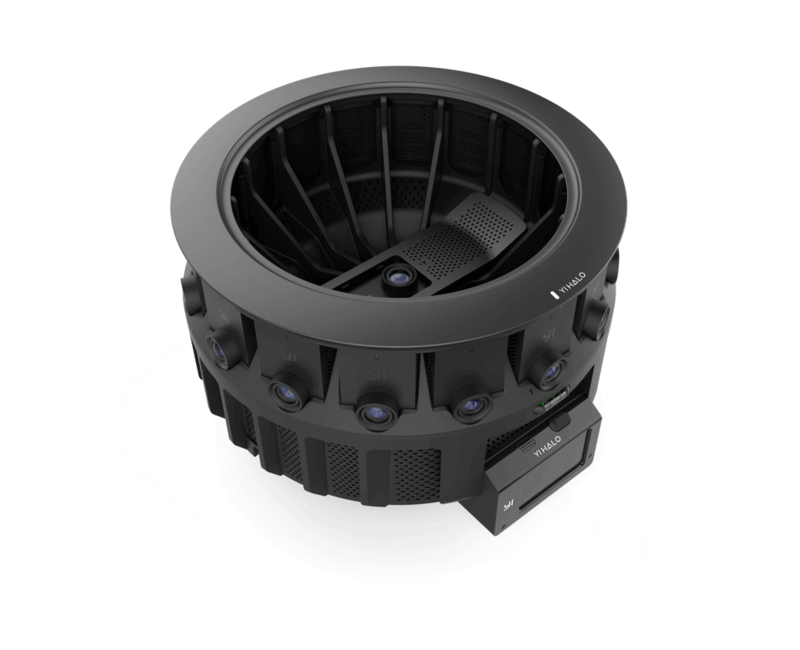 The 3D-360 solution for maximum immersion, stereo effect and fidelity. We worked from the ground up to meet the promise and challenge VR poses for creators to craft truly immersive experiences. 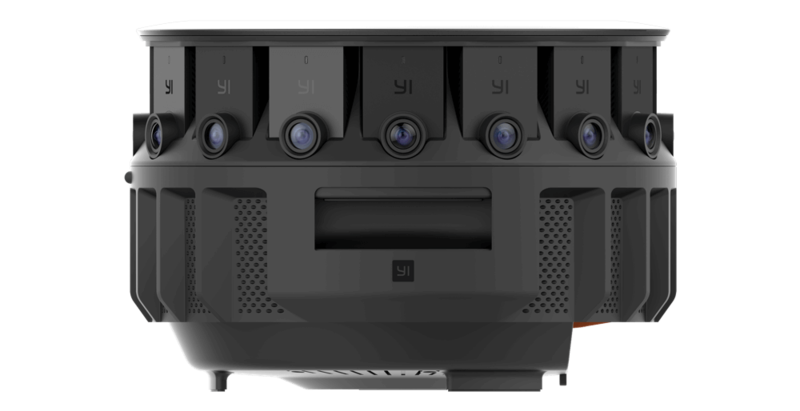 It is the first Jump camera with an up camera (total of 17 unit cameras), allowing users to experience the scene in every direction without missing a thing. The YI HALO’s innovative geometry was designed with stitching in mind. As the newest Jump camera, it was built to work with Jump Assembler. 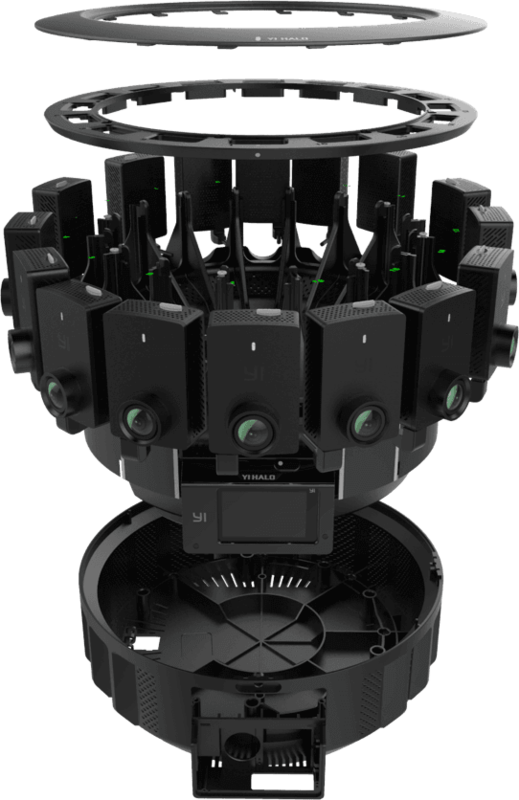 Together they can produce high quality stitches and deliver high quality stereo VR content up to 8K x 8K. To learn more, visit http://g.co/jump. Advanced image quality settings such as ISO, WB, EV, shutter and flat color are supported in YI HALO to empower filmmakers to capture the most spectacular moments accurately. and shoot in the most challenging situations. 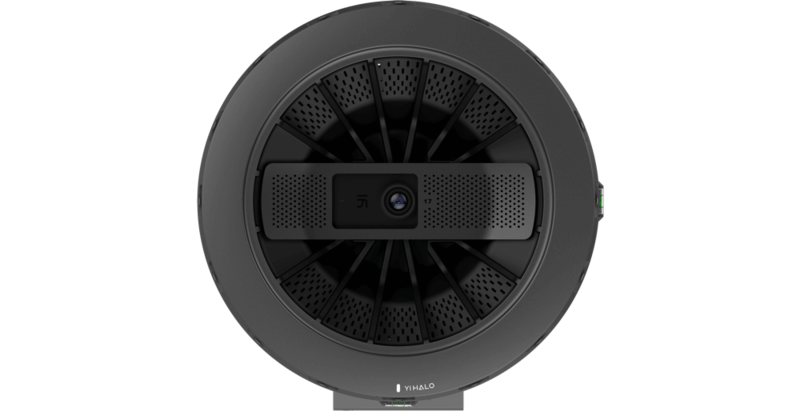 All of the advanced features of the YI HALO consume just 50 Watts of power. 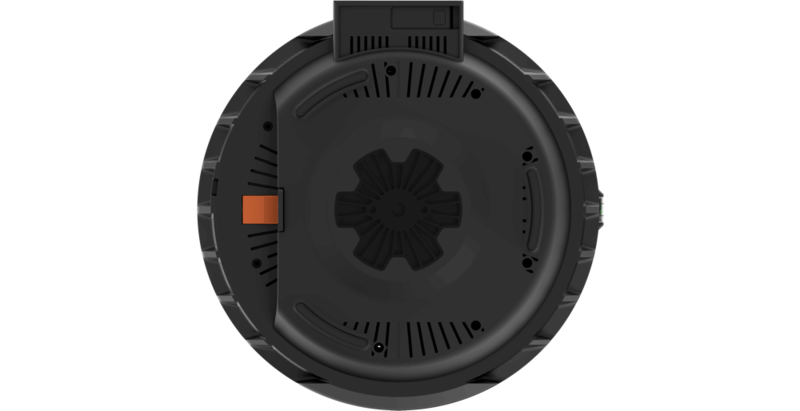 The included rechargeable battery lasts over 100 minutes during continuous shooting and can be swapped with a spare. The included AC Adapter can power the YI HALO and also charge the battery at the same time. 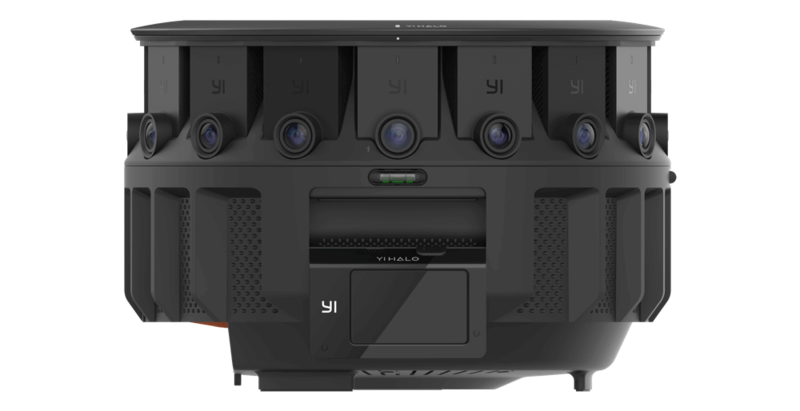 The YI HALO supports V-mount external batteries. 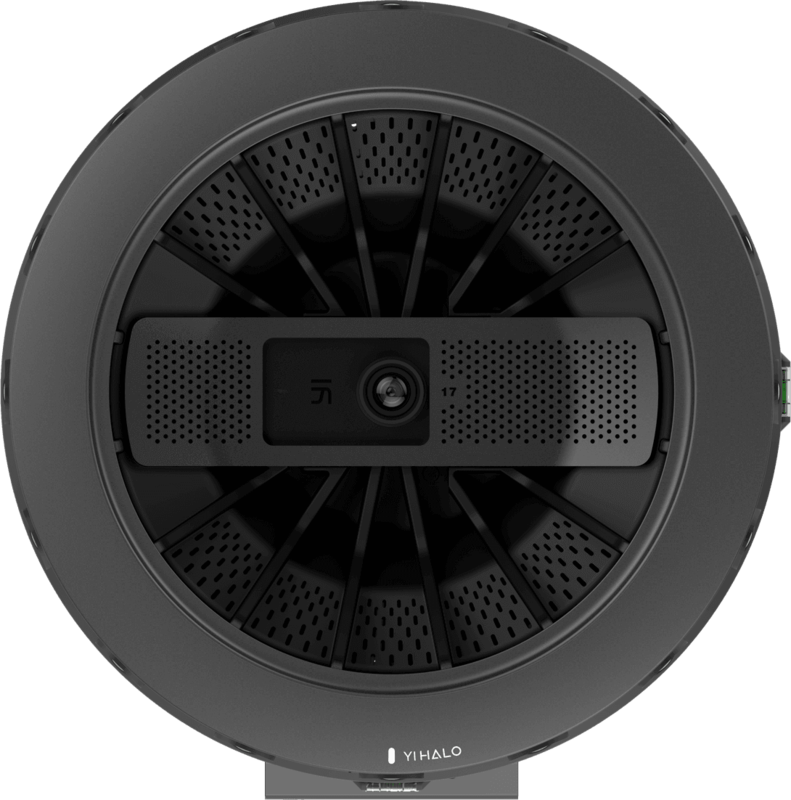 Built-in 5GHz Wi-Fi allows you to securely and remotely control your YI HALO with the Android smartphone App. You don’t need to be at the camera to set up and shoot. The app also lets you preview so that you get the right shot every time. YI HALO also comes with a built-in LCD touch screen control panel. Weighing less than 8 pounds including the battery, you won't need to hire a sherpa to haul your YI HALO to your next shoot. With the built-in handle, 1/4" and 3/8" tripod sockets, the YI HALO can be mounted to most tripods and camera support systems in seconds. It comes in a rugged and custom Pelican 1610 case for handling the worst conditions. which is designed to be durable, reliable and future-proof. 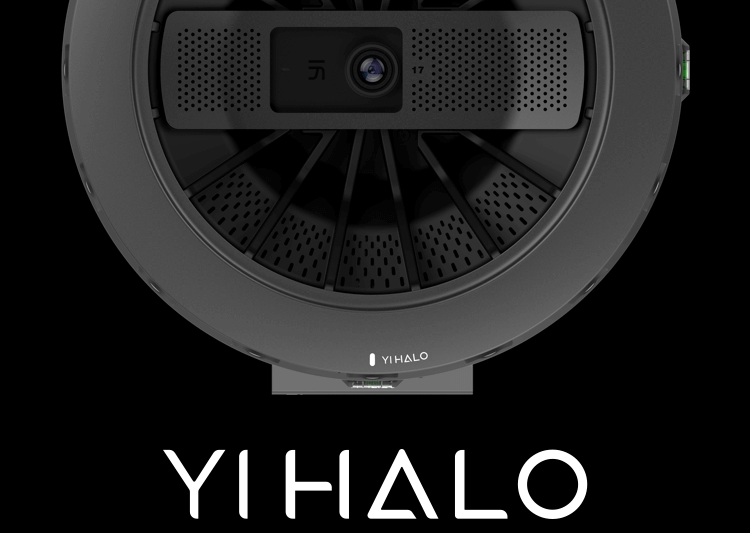 The YI HALO has gone through more than 100K total hours of stress testing to verify its reliability. 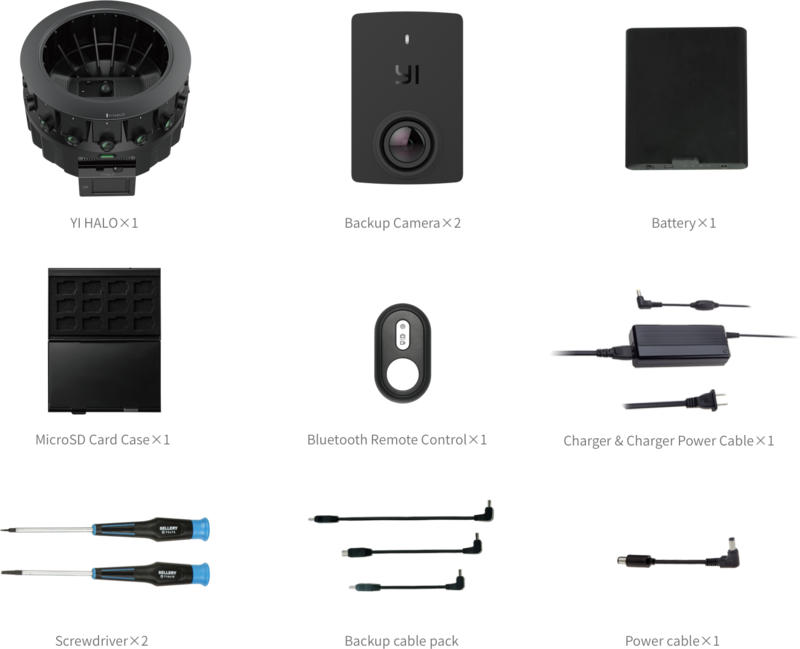 Built by the same engineering team who built the award winning YI 4K action camera and the world’s first 4K/60fps action camera YI 4K+ action camera, the YI HALO’s mechanical structure, hardware, firmware and software are carefully designed and implemented to deal with the rigors of shooting. allows YI HALO to operate in warm environments, up to 95ºF, without overheating. 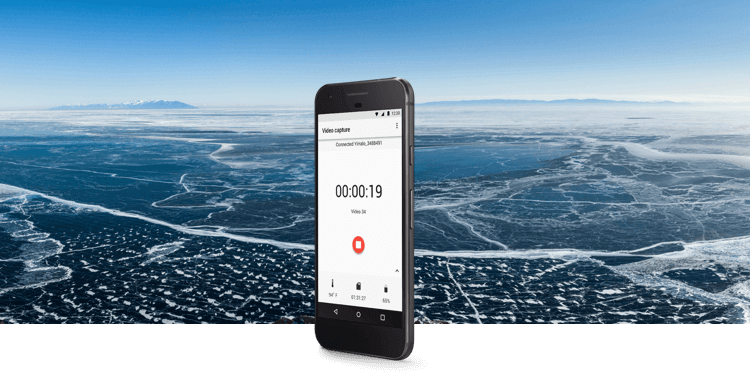 The built-in near real-time monitoring system includes a dashboard and issues smart alerts if it detects that a micro SD card is nearly full, battery power is low or other similiar issues to minimize downtime and protect your recordings. Technology advances every single minute. You won't get left behind. 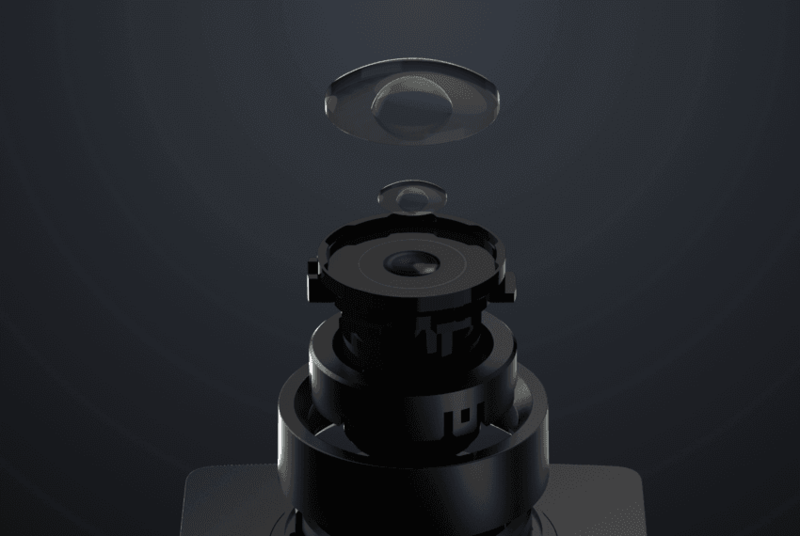 We designed the YI HALO to be modular and upgradeable. When new firmware is released, you can upgrade all cameras at once with just a few clicks on the control panel. 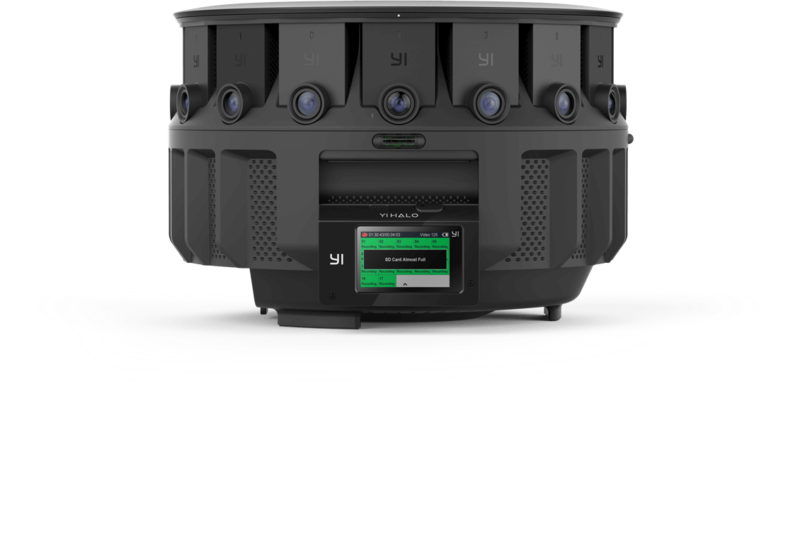 In the unlikely event a YI HALO unit camera is damaged in the field, simply replace it with one of the two included spare cameras. 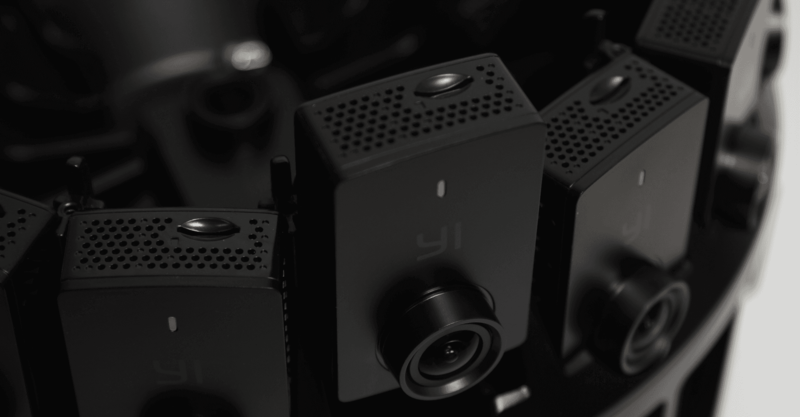 When new YI HALO unit camera hardware is released, simply replace the existing unit camera to upgrade the YI HALO. All the parts and accessories you need all in a durable, custom Pelican case with room for more. 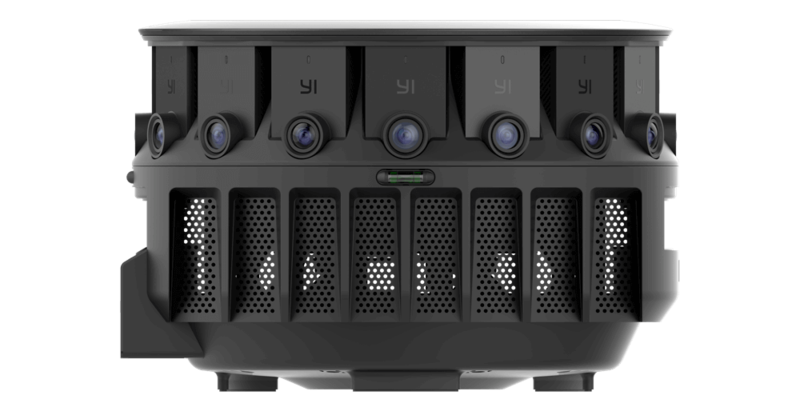 Finally, a professional level VR camera solution with no compromises, combining the highest fidelity capture, the most versatile shooting, and the most robust system. The most versatile 3D-360 solution so demanding creators can shoot longer, shoot more easily, and shoot in the most challenging situations. YI HALO is fully compatible and fully optimized for Jump Assembler. The metadata generated by YI HALO helps Jump understand the shooting situation in every detail and do the best job in stitching. 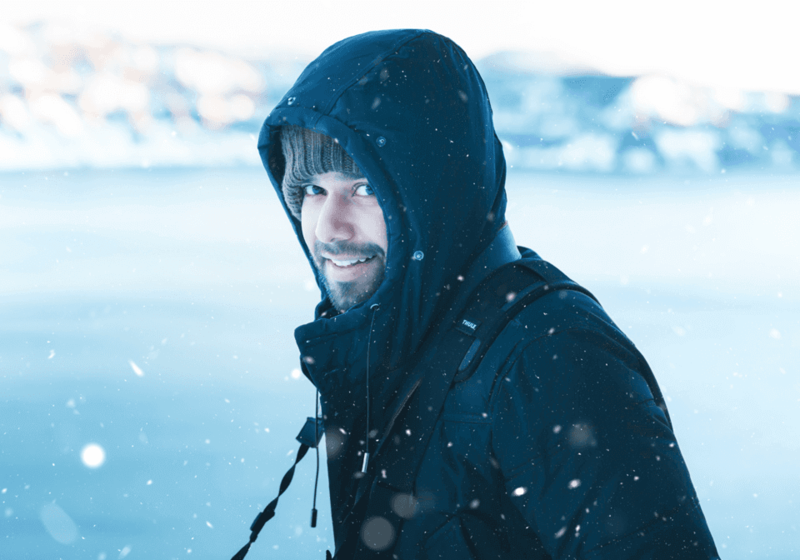 The stitching workflow is completely automatic so you're free to concentrate on your shoot. http://g.co/jump. A robust VR solution, so you can focus on your creations instead of your systems which is designed to be durable, reliable and future-proof. A sophisticated passive thermal design coupled with the advanced low power Ambarella A9SE75 SOC allows YI HALO to operate in warm environments, up to 95ºF, without overheating.